Can deploy troops on it? 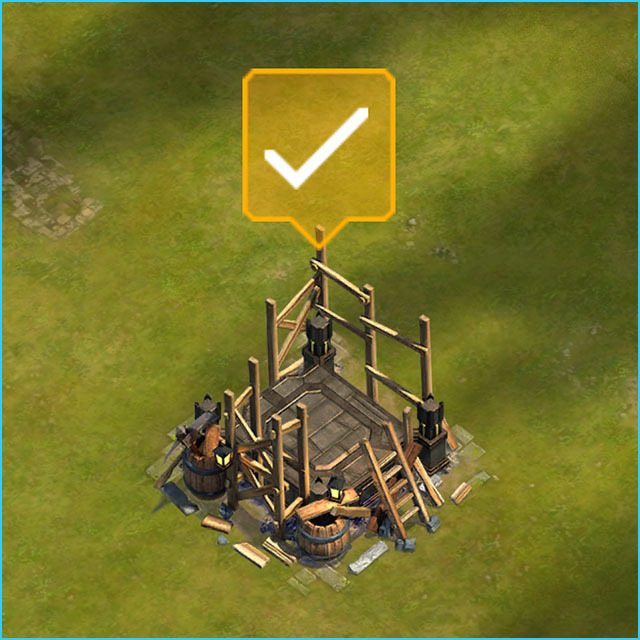 Players can decorate their base with 3x3 tile Statues they win as rewards from events. You can own multiple Statues, but they must be placed on top of a Statue Plinth, which are in limited supply. 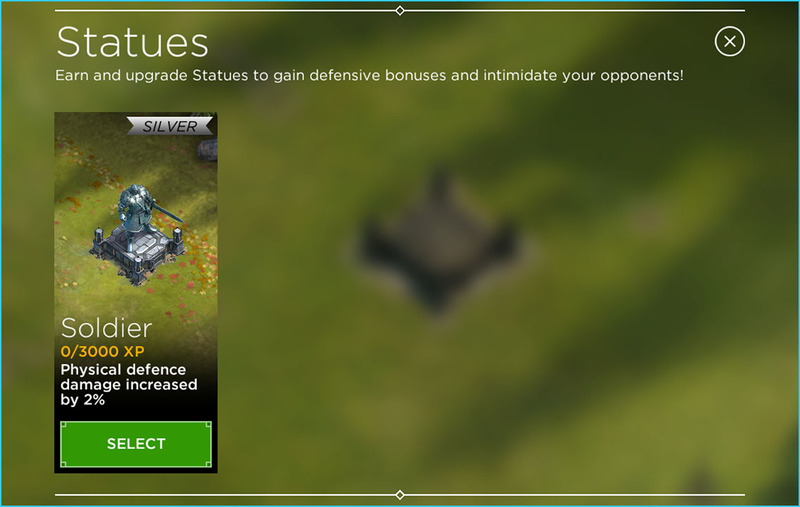 Statues provide a small bonus to defense that scale based on the Statues Rarity. There are several different statues, however you can only own 1 of each type (Warden, Soldier etc). 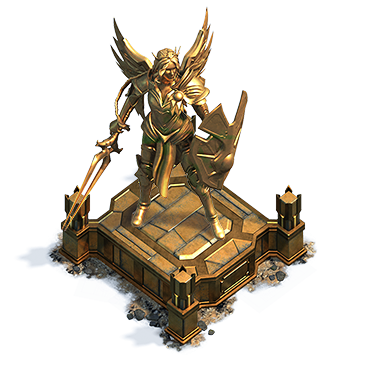 The first available Statue was the "Warden", which could be won if you placed in the top 250 during the "Force of Nature" event. The second available Statue was the "Soldier", which could be won if you placed in the top 1100 during the "Full Moon Sacrifice" event. Statues can only be earned from Events. In order to place a Statue, you must first earn a Statue Plinth. 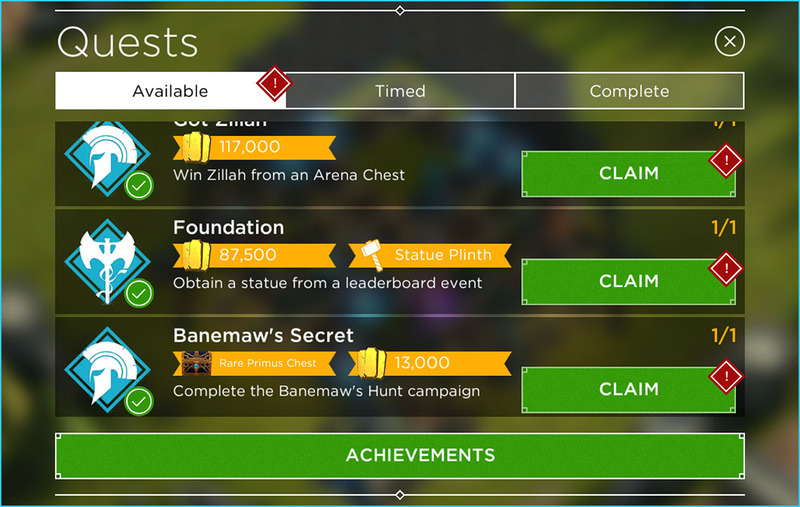 You can earn several Statue Plinths from different avenues in the game, but you cannot earn the same Statue Plinth multiple times. Once you obtain your first Statue, you'll complete the Foundation quest. 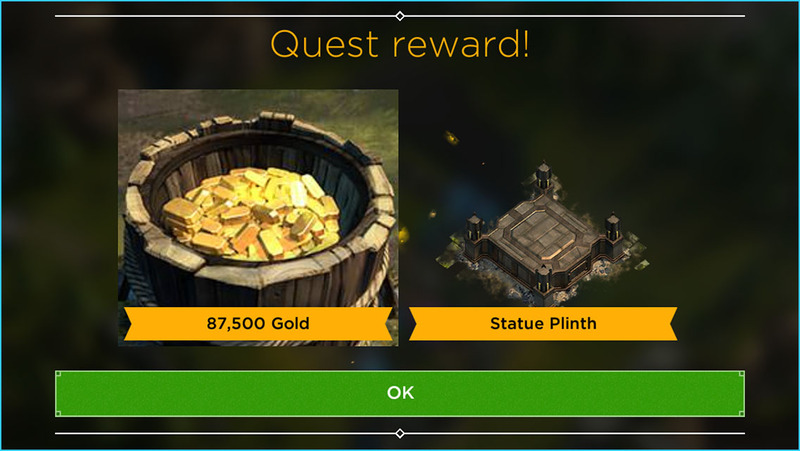 Claiming the quest will reward you with gold, and a Statue Plinth. The Plinth will automatically be placed on your base. 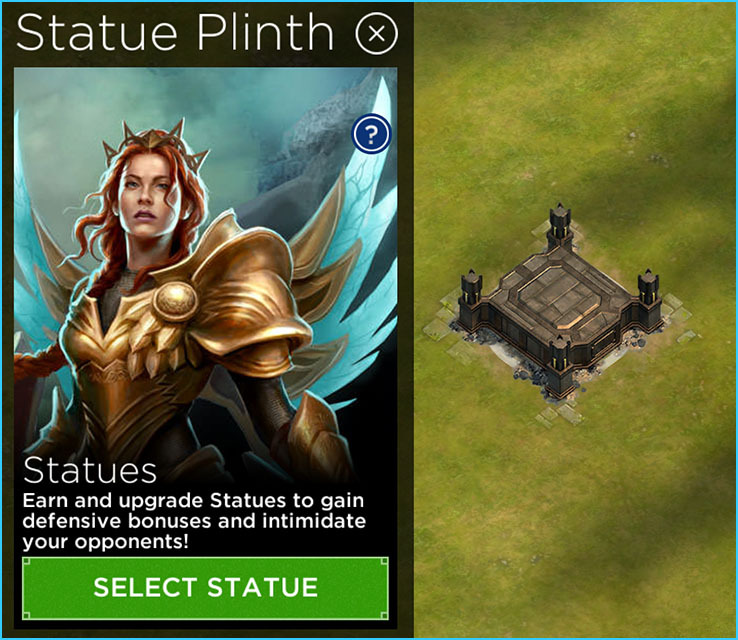 After selecting a Plinth on your base, you can tap "Select Statue" to select a Statue that you've previously won. Choose one of your obtained Statues to place on the Plinth. Note: you can select the same Statue on multiple Plinths, however the abilities do not stack. 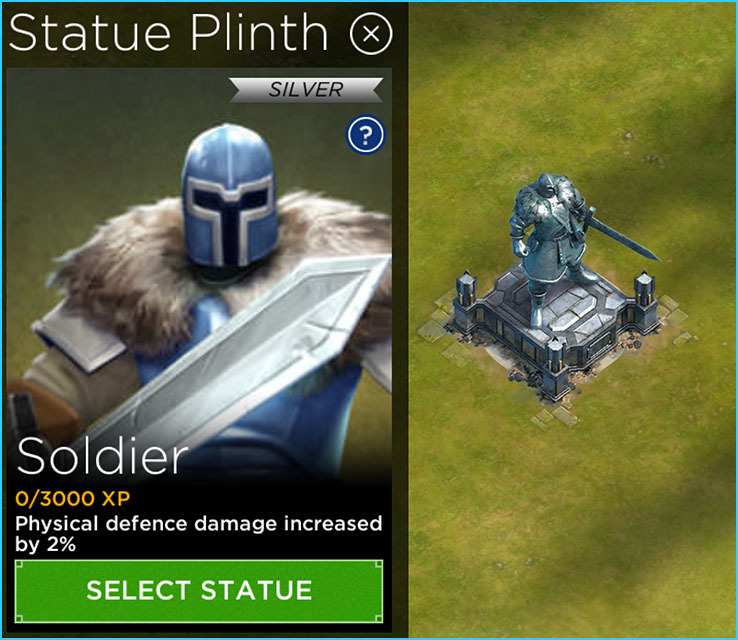 Once you've selected a Statue, the base of the Plinth will change to match the rarity of the Statue selected. Each statue being given has a rarity value. Bronze, Silver, Gold, Obsidian and Pearl. 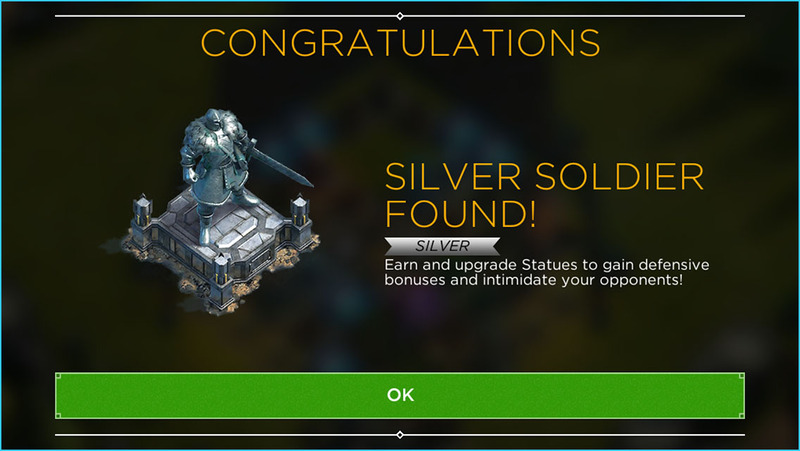 Whenever you earn the same Statue, it will gain experience towards the next rarity level. The amount of experience is fixed, but if the statue is of greater rarity than the Statue you already own, it will be set to that rarity instead. *If you receive a duplicate and the Statue is already Pearl, then you are rewarded with Pure Primus instead. Each type of statue offers a unique defensive boost.